Paul "Fruit Trees" By: Paul "Fruit Trees"
Shot during the Elysian Fields' Brewer's Night with Green Flash and Chuck Silva. 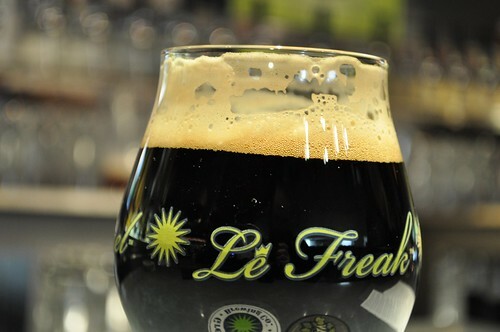 This was a limited release version of the Double Stout, that featured coffee essence extracted from a local coffee blend that was "cold brewed" in a french press. The stout had many complex flavors throughout as it warmed up.